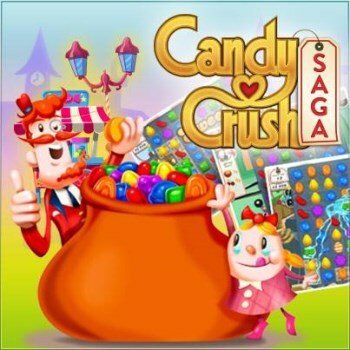 Candy Crush Saga Studio Trademarks the Word "Candy"
The Candy Crush Saga studio has already accused at least one other developer of infringing upon its newly-granted trademark on the word "candy." Back in February 2013, mobile game developer King filed for a trademark on the word "candy" in relation to videogames and clothing. Last week, specifically January 15 of this year, that filing was approved, and the studio is now reportedly moving to enforce the trademark by demanding that other developers take down apps with "candy" in the title. Benny Hsu, the maker of All Candy Casino Slots - Jewels Craze Connect: Big Blast Mania Land, told Gamezebo that he was asked under no uncertain terms to pull his game from the App Store. "Your use of CANDY SLOTS in your app icon uses our CANDY trademark exactly, for identical goods, which amounts to trademark infringement and is likely to lead to consumer confusion and damage to our brand," King paralegal Sophie Hallstrom told him. "The addition of only the descriptive term 'SLOTS' does nothing to lessen the likelihood of confusion." As crazy as it sounds, lawyer and Trademark Blog creator Martin Schwimmer said that generic trademarks like this one can be valid, although enforcing them can be tricky. "Suggestive marks are protectable, but the problem is that third parties can claim that they thought up their mark on their own," he said. He also recommended that any developers contacted by King or anyone else regarding an infringement seek the advice of a trademark lawyer, who "be can very useful in obtaining a coexistence agreement." But as Hsu pointed out, many indie developers don't have the resources for that kind of legal fight, nor can they look to Apple for help; the letter he received regarding the "Candy Slots" infringement came by way of Apple's legal department. He said he plans on changing the name of his game.